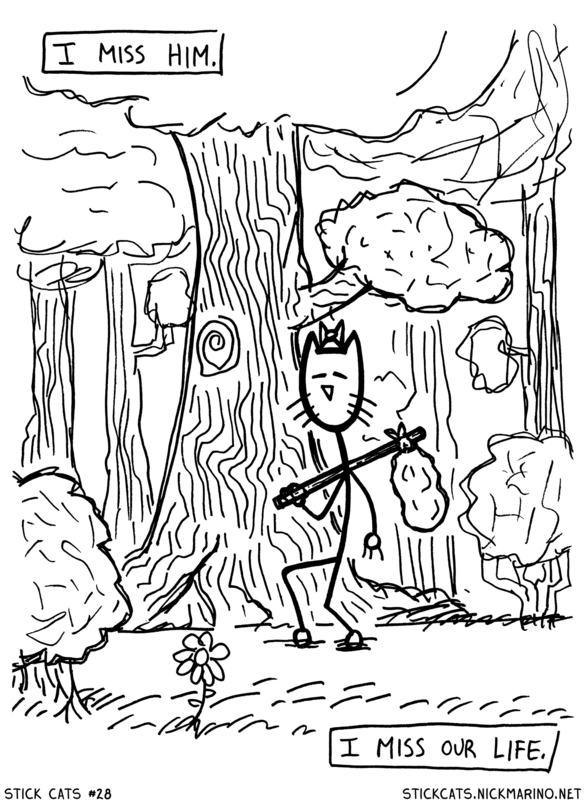 Previously in Stick Cats: Marmalade is walking through a mysterious island forest and thinking about Steve. Whoooooops! I forgot all about Stick Cats today. I'M SORRY! I know that's kind of silly considering that I just started this new schedule, but I've got a good reason -- I'm getting ready for a convention that's happening tomorrow! It's called the N.E. Geek Expo and it's at the Ashtabula County Fairgrounds in Jefferson, Ohio on from 12-7. There'll be comics, cosplay, gaming, and all other manner of nerdy stuff. I'll have fresh copies of my Stick Cats comics for sale, plus lots more. SEE YOU THERE!